The annual festive Camphill Fair takes place in the community hall, Grangebeg on Saturday November 28th 2-5pm. A huge arrange of produce and crafts for sale. Free concert on the day. The culture bus will travel to Dublin on Sunday December 6th. Leaving Dunlavin at 11am , taking in some shopping and a free concert in the Unitarian Church, Stephen’s Green at 3pm. The concert is free but ticketed. Anyone wishing to travel please contact 0879693960. The annual Christmas Concert in St Nicholas of Myra Church, Dunlavin will take place on Friday December 4th at 8pm. This promises to be a very festive night which will feature The Ballymore Eustace Band, Milltown Singers, Camphill Choir and Gormanstown Church Choir and local combined school choirs. The proceeds will go towards the church floor fund. Adults €10, children under 12 free. e on November 21st and 22nd. Lots of exciting gift ideas for Christmas. This years senior citizen Christmas Party will take place on November 29th at 3pm in the Imaal Hall. 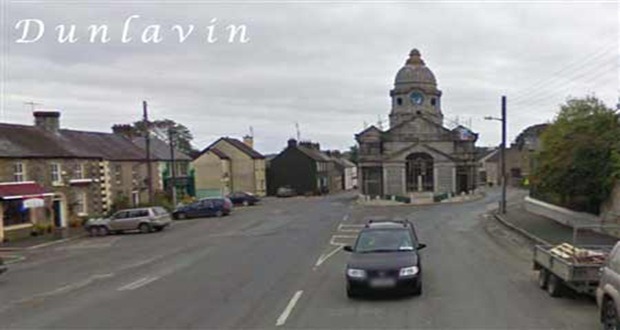 Dunlavin Christmas Fair ill take place on Saturday, December 5th in the Imaal Hall from 10am to 4pm. Santa’s Grotto will be open from 1 to 3pm. If you wish to book a stall at this years fair please contact Bernie on 086-2872619. Dunlavin’s Christmas lights will be officially switched on after the Christmas Fair on December 5th. Please join us at the Market House between 5pm and 6pm for a mulled wine and mince pie reception with carol singing and the lighting of the Christmas Tree lights. Thank you to everyone who has contributed to our collection boxes located in the local businesses. Dunlavin GAA present a night at the Dogs on November 27th at Newbridge Greyhound Track. Doors open at 6.30pm. Tickets are €10 and kids U12s go FREE. There’ll be an Auction Race, Human Race, Raffle for a Kids Bike as 1st prize & plenty more prizes up for grabs. Tickets available from any Committee Member or from Ed’s Fruit & Veg. An evening of fun for all the family! West Wicklow Historical Society has launched its latest Journal. This is Journal No. 8 from the WWHS. It features articles associated with such places as Baltinglass, Dunlavin, Hollywood and Killamoat, and the joint editors are Chris Lawlor and Donal McDonnell. Promises to be a great Christmas stocking filler.